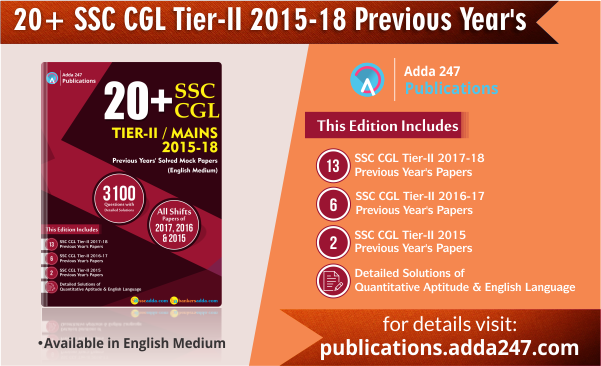 Adda247 brings you the most efficient Practice Book for SSC CGL Tier-II Exam. The wait is over now! As you can start practicing right away with previous years papers available in this Book. 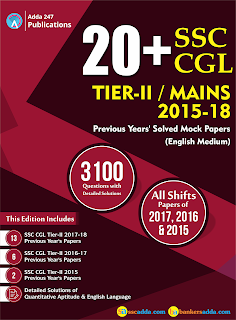 "SSC CGL Tier-II 2015-18 Previous Year's (English Medium)" contains previous year's papers and their detailed solutions in English Medium Only and this will help you in your preparation for CGL Tier-II Exam. 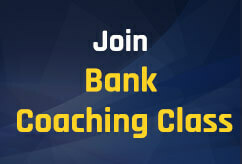 This Book also includes re-exam paper of SSC CGL Tier-II. SSC aspirants aiming for 2018 government job competitive exams must practice with Previous Year Question Papers because SSC is known to repeat the pattern and questions throughout various competitive exams and you'll get all those questions in this book. This book contains 3100 questions in 20+ Mocks (available in English Medium only) with detailed explanations for your practice. This Book not only contains previous year papers but also in-depth and detailed explanations of all the questions and sections- Quant and English. If you are an SSC CGL 2018 Aspirant then this book is your one-stop solution to practise till perfection. Detailed Solutions Of Quantitative Aptitude. Detailed Solutions Of English Language. In this book, you will get Solved Papers of all shifts of SSC CGL Tier-2 Previous Years’ Mocks. This book is replete with 3000+ questions with detailed solutions which will help the candidate in cracking any competitive exam with ease. Then practicing with previous years' papers can help you to get an idea of the difficulty level and types of questions asked in CGL Tier-II Examination. 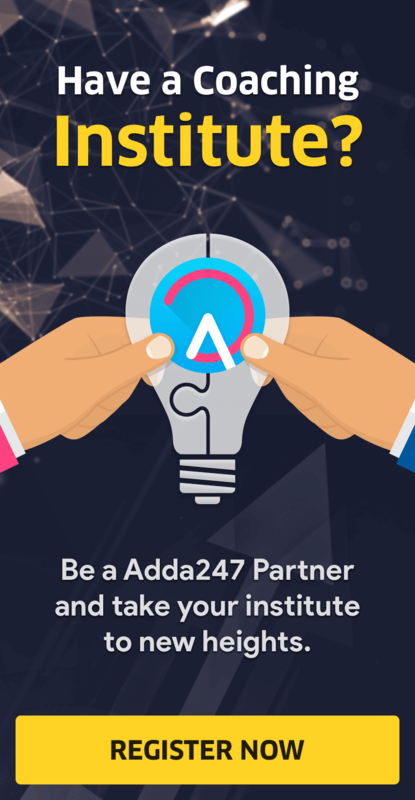 We, Adda247 unit, hereby assures you that whatever difficulty you are facing in this challenging environment, we will always be available with best possible solution to assist you. As educators, we promise you to succour you with affordable study material to make you headway in any govt exam. You can Pre-order it Now! !